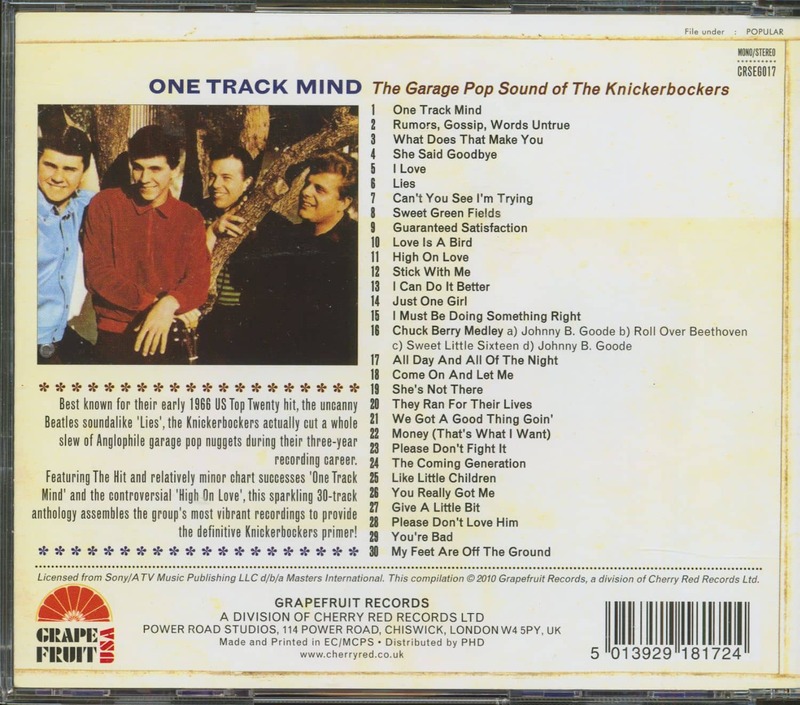 (Grapefruit Records) 30 Tracks - 1965-1967 - Incl. 10 unreleased tracks! 12-page booklet! 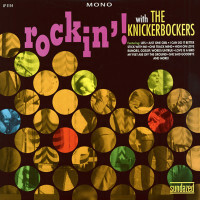 The Knickerbockers formed in 1964 as the Castle Kings. 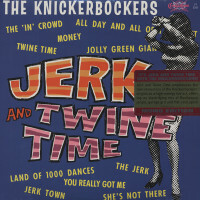 The group — Buddy Randell from the Royal Teens (he co-wrote 'Short Shorts'), vocals and saxophone; Jimmy Walker, drums and vocals; John Charles, bass; and his brother Beau, guitar — took their name from Knickerbocker Avenue in their hometown of Bergenfield, New Jersey. 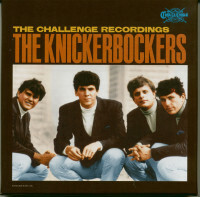 Discovered by Jerry Fuller, a moderately successful singer and very suc-cessful writer (`Travellin' Man', 'Young World', 'Over You' and 'Young Girl') and producer (Union Gap and Ricky Nelson), they were signed to Challenge in 1965. 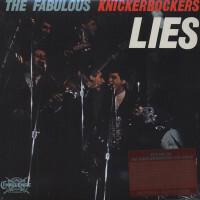 They soon showed their skills as mimics when their Beatles pastiche, `Lies' shot into the Top Twenty in the winter of 1965. Ful-ler's production of the Randell-B. Charles composition was perfect, sounding more like the Beatles than the Beatles. A follow-up, 'One Track Mind', made the Top Fifty in 1966 but then failure set in and the group disbanded. Jimmy Walker briefly 'replaced' Bill Medley in the Righteous Brothers before attempting a solo career on Columbia and Buddy Randell tried the same on Uni and then Paramount. Cutts Knight, of mixed black/Indian parentage, was born in Fort Scott, Kansas, in 1945. He moved to New York in 1961 where his own records on a number of labels (Gulf, Shell, R.S.V.P.) have since been overshadowed by an asso-ciation with Jimi Hendrix. Jimit Knight's 'intimate bio-graphy' of Hendrix was published in 1974, but was not weil-received by critics or fans. Knight's best solo record was `That's Why' on Gulf, which bubbled under the Hot Hun-dred in 1961. 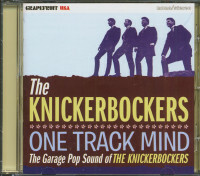 Jimi Hendrix played and sang on tracks, by Curtis Knight and the Squires made in 1965 for R.S.V.P. 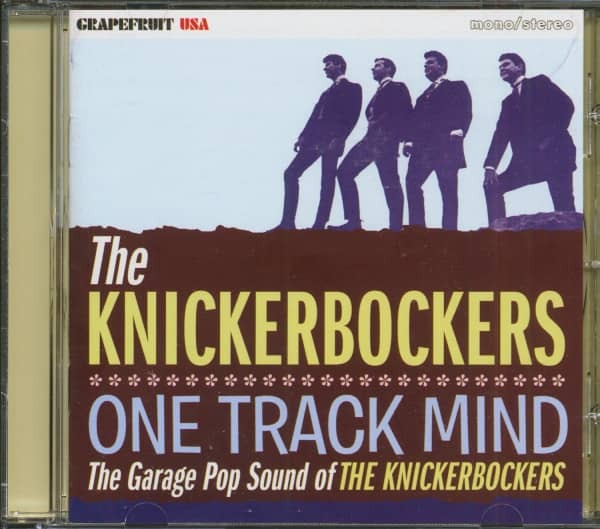 Customer evaluation for "One Track Mind - The Garage Pop Sound Of The Knickerbockers (CD)"